Culturelle® Be Good Inside Sweepstakes – Win a $200 American Express gift card & more! Win a $200 American Express gift card & more (4 winners)! ENTRY LIMIT – Limit one (1) form entry per person, per day. Additional entries can be earned by completing further social actions when prompted after submission. 15 additional entries can be earned through the following action: following the link and writing a review for Culturelle® Probiotics. 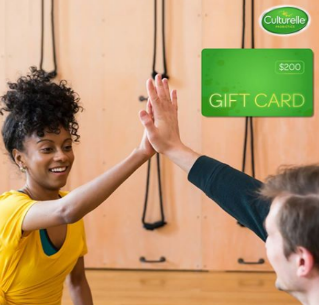 20 additional entries can be earned when a referral enters the sweepstakes using your unique link or you follow the Culturelle® Instagram page. ELIGIBILITY – Open to legal U.S. residents who are 18 years of age or older at time of entry. SWEEPSTAKES ENTRY PERIOD – The Sweepstakes begins at 12:00:01 AM Eastern Time (“ET”) on March 1, 2018, and ends at 11:59:59 PM ET on April 30, 2018. PRIZES – The Promotion Administrator will conduct a random drawing from among all eligible entries received during the Sweepstakes period to award four (4) Culturelle® Probiotics Be Good Inside Sweepstakes Grand Prizes consisting of one (1) $200 American Express® gift card and one (1) full line of Culturelle® Probiotic products (Digestive, Pro-Well®, Kids or Baby.) 50 runner ups will also be selected and will receive one (1) full line of Culturelle® Probiotics products (Digestive, Pro-Well®, Kids or Baby.) Total approximate retail value of Grand Prize is $270.